For nearly 700 hundred years, Aritaurian sages roamed the lands, revered by most, but feared and persecuted by some. The historical records of the ancient beginnings of Aritaurian culture is held through oral tradition, and as such, often becomes a near-fantasmic story of facts entwined with myth and legend. Their history is marked in time by well-documented major events, with long periods between events shadowed in mystery. While only citizens of The Conclave are entrusted with this oral history, the principles of Aritaurian culture are well known and freely shared, and this was the purpose of Aritaurians for centuries. Over time, many a kingdom would rise or fall with the Aritaurians involvement. They brought both wise and balanced counsel to kings and queens who’d listen, and when needed, staunchly defended the people against tyranny. Thus, Aritaurians came to be known as intellectuals, scientists, diplomats, philosophers and theologians, respected as judges and as teachers, yet also fiercely patriotic, rallying resistance to foreign invaders or domestic tyrants when their chosen homeland was attacked. An ancient philosopher once described the druidae ("sage" in a long-dead language) as "raising their hands to the sky and shouting dreadful curses, which terrified our soldiers who had never seen such a thing before”. Formally a well-revered Duchy (jarldom) within the Kingdom of Vornair, people who call this area home still warmly refer to it as The Conclave. It is home to those who want to remake the world with reference to the past, engaging in the pursuit of advanced knowledge in their chosen discipline while living in balance with the Earth and the Cosmos. All aspects of Aritaurian culture are held dear by its inhabitants. The Guiding Principles of the territory have been established in written form for several centuries, while the oral tradition of the true details of the people’s history is still honoured. While The Conclave has grown into an advanced, diverse culture, The Guiding Principles have long been adhered to by Aritaurians, and are used when making decisions, large and small, both individually and as a group. The principles are considered well-codified wisdom and guidance, passed on from generation to generation, which do not serve to direct Aritaurians in WHAT to do or think, but rather, tools for HOW to do and think. Balance: The First and Foremost of The Guiding Principles is Balance. Maintain a healthy balance of the spiritual and mundane, between the Earth and Cosmos. Do nothing without being properly schooled in its theory and well-practiced in its execution. Know when it is appropriate to study, and when it is appropriate to learn through practice. Sanctity of Life: All life is sacred to Aritaurians, and all are responsible for seeing that this standard is upheld. The strong serve the weak. Responsibility: Aritaurians appreciate that every action has a consequence that must be observed and one must be prepared to compensate for one’s actions, if required. Truth: Aritaurians uphold the Truth, especially with one’s self. Openness: One lives in society and is bound by its rules. The wise Aritaurian is both knowledgeable and respectful of the different cultures and customs one comes across, and is part of, in life. Dedication: Working with high standards brings honour to The Conclave. If one cannot do with personal excellence, then do not do it. Prosperity: Making an honest living is expected of all, and for all to contribute to the prosperity of The Conclave. Service to one’s community is respected and encouraged over serving one’s own interest. Respect: Be both a gracious host, as well as an appreciative guest. Health: Take care of yourself. Health is held in high esteem amongst the Aritaurians, for if one cannot preserve one’s self, how can one preserve their part of The Conclave? Confidence: Be sure in your convictions, particularly when judging or accusing someone, but also when debating. One must ask: are you really sure? Do you really know that this is the case? The Conclave government values Balance, holding both Aspects of the Earth and Aspects of the Cosmos in equilibrium. As such, the government is divided to into two departments, each led by a Chancellor. In accordance with The Guiding Principles, the various roles support and serve the citizenry of The Conclave through providing guidance, leadership and expertise in their area of responsibility. This group of leaders is known as The Council of High Elders. 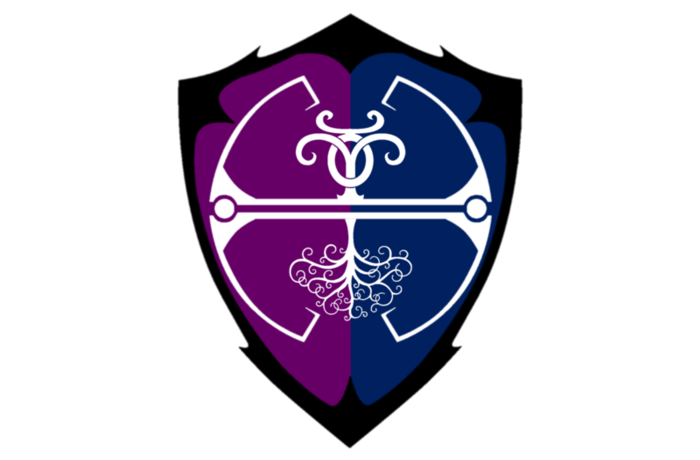 The High Elders Council is granted both authority and responsibility from The Duchess to manage their areas of responsibility, as well as provide her with their counsel in the leadership of The Conclave. We are Hiring! Please check out our Now Hiring post for all the details! We look forward to meeting you, welcoming you to The Conclave, and hearing about your passion and plans. Feel free to join our Discord Channel for more information about living, working, and loving a balanced and prosperous life with us. The county of Drakenhall is happy to pledge allegiance to the conclave and the aritaur familly. May our alliance be beneficial to everyone! Your pledge is well received, Count Drake. Welcome Home. Your pledge is well received, Count Dorin. Welcome home! Just a note to advise that I have formally received correspondence from Caspian via COE direct message requesting a decision for server, and have chosen NA-East Server, along with the Kingdom of Vornair. Here is a helpful tip for those who wish to settle in Aritaur... The Duchess loves her Coffee. The county of Thornn pledges to the house of Aritaur and the Conclave. It would appear that our Lady Angelica would want my wandering feet to plant some roots. I shall do that here among "Mann".